The mantis comes to us when we need peace, quiet and calm in our lives. Usually the mantis makes an appearance when we've flooded our lives with so much business, activity, or chaos that we can no longer hear the still small voice within us because of the external din we've created. 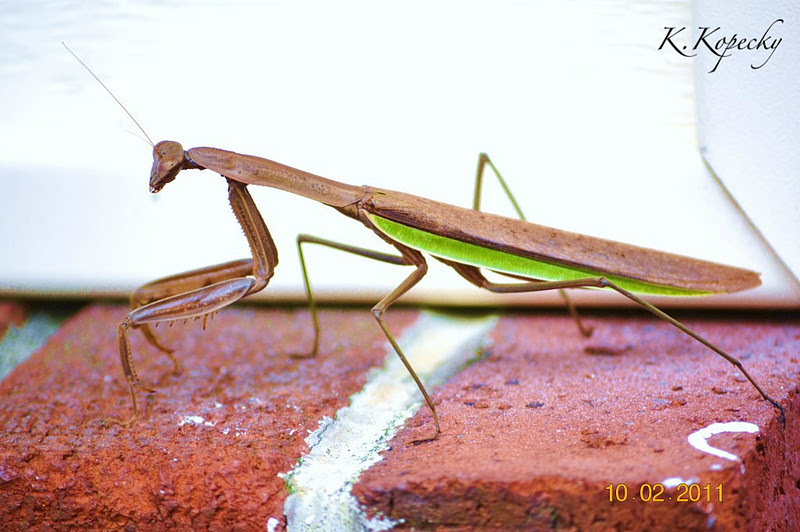 2 weeks ago we had 2 praying mantis at our house. Absolutely beautiful. I am having this framed and hung in our livingroom!